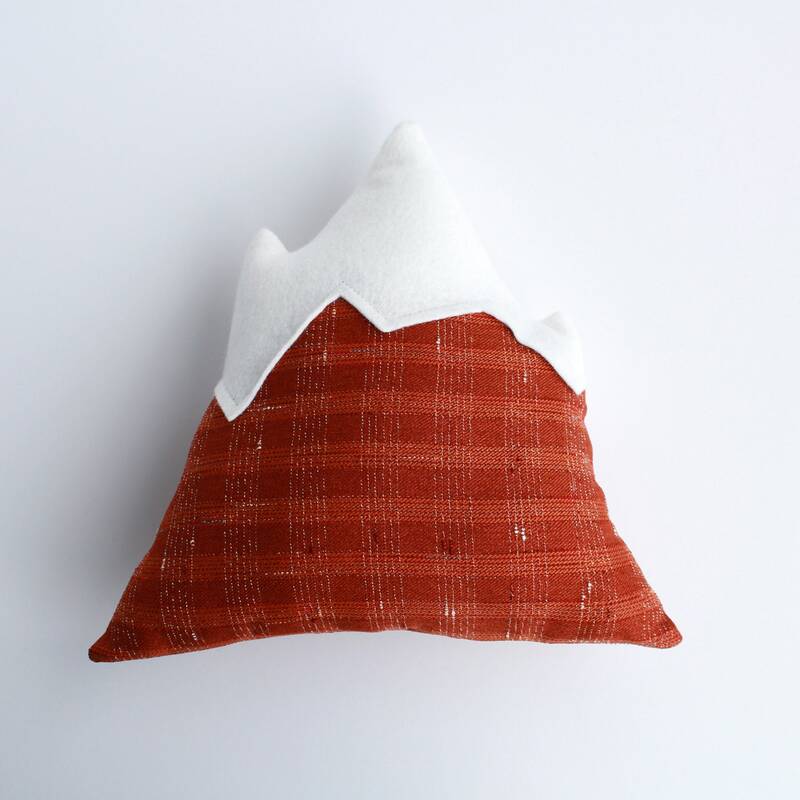 Claim your very own mountain peak with this adorable mountain pillow! 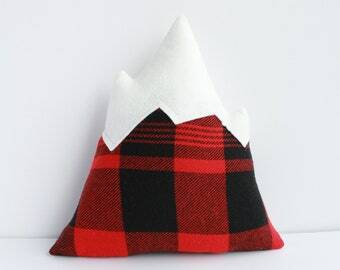 Handmade with coppery orange plaid and snowcapped with creamy white wool felt. This cutie is the perfect way to bring your love of mountains indoors. 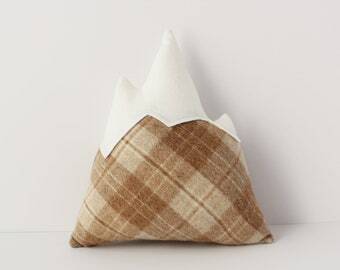 Use one as an accent pillow, or purchase several to create your very own mountain range! Perfect as a housewarming gift! Made with upcycled coppery orange plaid, american-made wool and stuffed with eco-friendly biodegradable fiberfill.